WILL MEDICAL MARIJUANA HELP ME SLEEP? Marijuana has been used illicitly in the United States as a recreational drug for decades. Now with an increased number of states approving its use for medical purposes, marijuana use has skyrocketed across the country as more people seek alternative treatment options for their medical conditions. THC and CBD are cannabinoids found within the cannabis plant, and are the primary compounds believed to provide therapeutic benefits. THC is well known for its psychoactive effects on the brain and is what gives users the “high” feeling. CBD is non-psychoactive and is becoming increasingly more popular for its multiple health benefits. The therapeutic benefits of cannabinoids vary widely and are dependent on the condition being treated, the strength and ratio of THC:CBD, and the route and time of administration. Currently, there are 30 states that allow doctors to recommend medical cannabis for the treatment of chronic conditions. Sleep disorders are among the top three conditions being reported by individuals seeking medical marijuana treatment (3). Quality and quantity of sleep have a direct impact on overall mental and physical well-being. As a result, individuals seek solutions for disruptions in their sleep patterns and often report self-medicating with marijuana prior to seeking medical treatment (3). Research on the use of THC to treat sleep disorders is limited and has yielded mixed results. 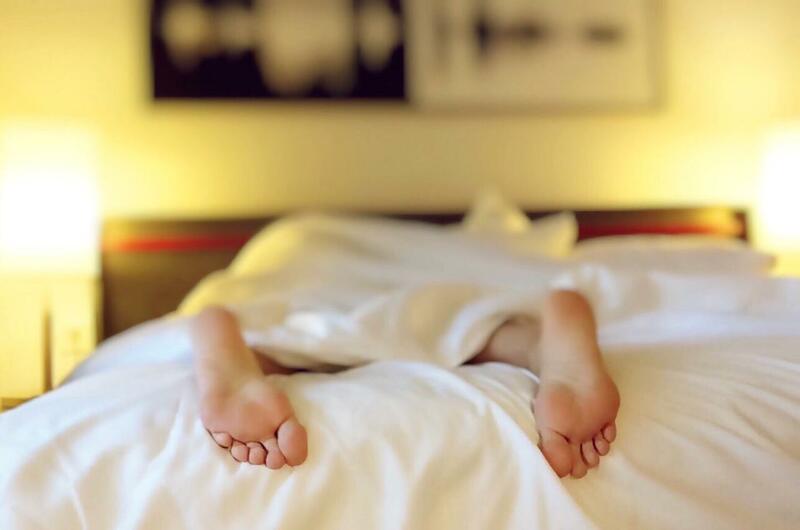 Some research suggests that THC may have a positive impact on sleep by decreasing both the time it takes to fall asleep and the number of times an individual wakes up after falling asleep (2,4). Other research suggests that long-term use of cannabis, as a sleep aid, may result in a negative impact on sleep patterns over time. This is believed to be caused by the habituation to the sleep inducing and slow wave sleep enhancing properties of THC, resulting in the need to use more THC to achieve the desired effect. (6,7,8). Similar negative effects are also reported with commonly prescribed sleep medications. Benzodiazepines and sedative-hypnotics are a first line treatment for sleep disorders and often result in habituation and poor sleep quality for long-term users. Additional studies on CBD, independent of THC, suggest that the use of CBD may also have a positive impact on the sleep-wake cycle. CBD in higher doses is reported to increase total sleep time and reduce the frequency of waking episodes (10,11,12). This is especially encouraging, as there are no reported side effects or risk of habituation. Although research in this area is both limited and has yielded mixed results, it’s worth mentioning the THC:CBD dosing we recommend and the anecdotal evidence being reported by patients within our medical practice who are being treated for sleep related disorders. The ratios of THC:CBD range from 5-10 mg of THC combined with 50-150 mg of CBD. Patients seeking medical treatment for sleep related disorders most often report having difficulty falling asleep or difficulty staying asleep. For patients who have difficulty falling asleep we often recommend 5-10 mg of Indica (THC) to be administered via vaporizer at bedtime combined with 50-150 mg of CBD to be administered orally and taken throughout the day. This THC preparation is fast acting, with the onset of effects occurring in about 90 seconds and peaking around 15-30 minutes after use. The duration of effect is generally 2-3 hours. This provides the patient with quick acting relief for sleep latency onset and allows them to fall asleep faster. For patients who have difficulty staying asleep, but do not present difficulty falling asleep, we often recommend 10 mg of Indica oil (THC) to be administered sublingually 2 hours prior to bedtime combined with 50-150 mg of CBD taken throughout the day. This THC preparation has a delayed time of onset and generally takes 90-120 minutes to take effect and peaks within the body in 3-6 hours. The duration of effect is more variable with this preparation and ranges from 4-12 hours. This provides the patient with a sedative effect lasting throughout the night and decreases wake after sleep onset episodes. In some cases, we combine preparations to aid in both falling asleep and staying asleep. To date we have treated hundreds of patients suffering from sleep related disorders with these preparations. Most of our patients report good results in both falling asleep faster and staying asleep longer, and often report feeling more refreshed in the morning. This anecdotal data represents a positive correlation between the short-term use of THC:CBD preparations and improved quantity of sleep. Considering that sleep is measured by both quantity and quality, we are still working towards understanding the effects of THC:CBD use on quality of sleep. Some studies suggest that THC may decrease REM sleep episodes, thus reducing the quality of sleep. (7,9). How Does Medical Marijuana Compare to Existing Prescription Sleep Medications? We are hesitant to make the claim that medical cannabis is better than other prescription medications used to treat sleep disorders. However, given the fact that traditional prescription drugs have a long list of negative side effects and have similar effects on quality and quantity of sleep compared to THC:CBD, many patients are opting for the more organic approach. Sleep related disorders are a serious detriment to an individual’s health and well-being. The negative impact of sleep deprivation is far reaching and can lead to depression, antisocial behavior, exacerbation of pain, poor concentration, decreased productivity and motivation. Effective treatment is critical to improving overall quality of life. Given the positive feedback from our patients and the increased acceptance of use, it’s clear that medical cannabis is slowly emerging as a viable alternative to traditionally prescribed medications used to treat sleep disorders. As more research is conducted in this area, we are hopeful that treatment options will expand, while simultaneously becoming more precise. 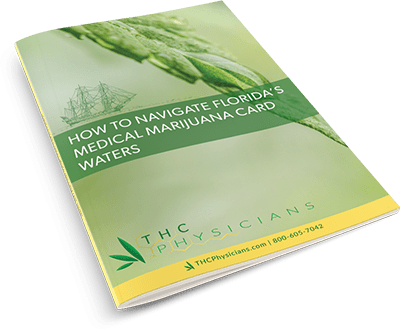 Patients interested in the use of medical cannabis for sleep related disorders should seek the aid of a qualified physician who has experience in this area. If you or a loved one experiences sleep disorders and are considering medical marijuana, contact THC Physicians for a nearby location. 1. Cousens K, DiMascio A. (?) Delta 9 THC as an hypnotic. An experimental study of three dose levels. Psychopharmacologia. 1973;33(4):355–64. 3. Bonn-Miller MO, Boden MT, Bucossi MM, Babson KA. Self-reported cannabis use characteristics, patterns and helpfulness among medical cannabis users. Am J Drug Alcohol Abuse. 2014;40(1):23–30. 4. Chait LD. Subjective and behavioral effects of marijuana the morning after smoking. Psychopharmacology. 1990;100(3):328–33. 5. Barratt ES, Beaver W, White R. The effects of marijuana on human sleep patterns. Biol Psychiatry. 1974;8(1):47–54. 6. Freemon FR. The effect of chronically administered delta-9- tetrahydrocannabinol upon the polygraphically monitored sleep of normal volunteers. Drug Alcohol Depend. 1982;10(4):345–53. 7. Karacan I, Fernandez-Salas A, Coggins WJ, Carter WE, Williams RL, Thornby JI, et al. Sleep electroencephalographic-electrooculographic characteristics of chronic marijuana users: part I. Ann N Y Acad Sci. 1976;282:348–74. 8. Pranikoff K, Karacan I, Larson EA, Williams RL, Thornby JI, Hursch CJ. Effects of marijuana smoking on the sleep EEG. Preliminary studies JFMA. 1973;60(3):28–31. 9. Feinberg I, Jones R, Walker JM, Cavness C, March J. Effects of high dosage delta-9-tetrahydrocannabinol on sleep patterns in man. Clin Pharmacol Ther. 1975;17(4):458–66. 10. Nicholson AN, Turner C, Stone BM, Robson PJ. Effect of Delta-9-tetrahydrocannabinol and cannabidiol on nocturnal sleep and early-morning behavior in young adults. J Clin Psychopharmacol. 2004;24(3):305–13. 11. Carlini EA, Cunha JM. Hypnotic and antiepileptic effects of cannabidiol. J Clin Pharmacol. 1981;21(8–9 Suppl):417S–27S.